We got a quick glimpse of a few glacial grooves when we visited Gibraltar Island near Put-in-Bay in Ohio's Lake Erie Shores and Islands region. We've yet to visit the nearby Kelley's Island to see the Ohio's Glacial Grooves Memorial, but Jessie Voigts did and got a more detailed look at this geological feature. Learn about it from Jessie in this guest post! 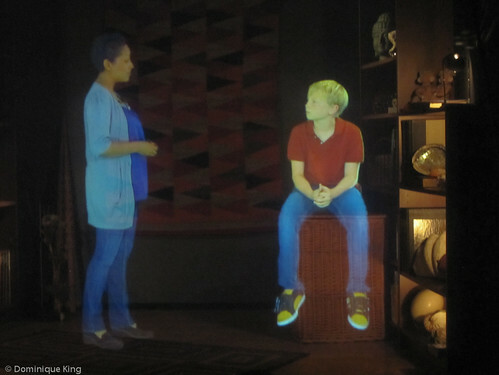 Want to time travel…millions of years into the past? You can with the Glacial Grooves – the largest and most famous glacial grooves in the world – located on Kelleys Island on western Lake Erie, near Sandusky, Ohio just a few miles from the Canadian border. It’s a geological wonder that is a hidden treasure on this beautiful, interesting island. 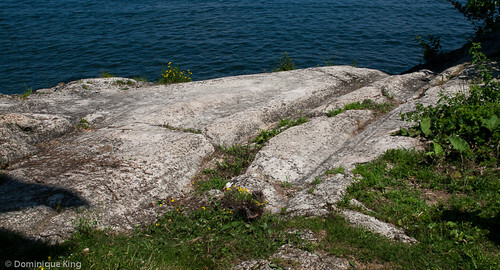 The Glacial Grooves are located next to the Kelleys Island State Park campground and beach, on the north side of the island. Although workers quarried most of the grooves (and even sent some to the Smithsonian! ), there are still many left to see. In these remaining Glacial Grooves, you can see 18 different kinds of fossils, including horn coral, gastropods, and other marine invertebrates. Walk around the perimeter of the hundreds-of-feet-long fenced-in area, and see just how those glaciers carved the rock. When you look at the grooves, you can almost imagine the glacier moving deliberately across the landscape. Each groove has a purpose to it, a definition that comes from slow, steady carving and great weight of the glacier. But I digress. First, a bit of history. Let’s step back 280 million years, to the Pleistocene Epoch, a period during which glaciers formed in Canada and pushed their way down to the northern US, including Ohio. The ice may have been up to a mile thick! About 20,000 years ago, a much more recent glacial movement occurred, with the Wisconsinan glacier moving through most of the Midwest. The movement of that ice sheet again caused great changes in the landscape. As the glacier moved through Ohio, it carved out deep grooves in the limestone rock on Kelleys Island. The island’s more recent history includes its use by the US military as a post during the War of 1812. The state named the island for the Kelley brothers in 1840 in recognition for their development of quarries, logging, and wineries there. The state moved to protect the Glacial Grooves in 1923 and it is a State Memorial Site. Parking is available, and it is free to walk around and learn about the Glacial Grooves. As you explore, you’ll see plaques with additional information about the sights before you. Start at the north side, where companies mined the limestone. The area is about 400 feet long, 35 feet wide and 10 feet deep. There is a walkway around it, stairs, and even a bridge over the grooves. Make sure to view the grooves from all angles, so you can get a sense of the power and scale of the glacier. 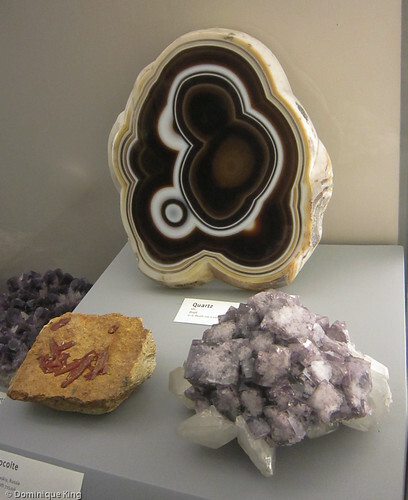 It’s well worth a visit if you’re in northern Ohio and want to explore local geological history. How to: Take the ferry from the Sandusky area to Kelleys Island (or take a small plane, or your own boat – there are several marinas). It’s the largest American island in Lake Erie, settled by the Erie Indians a thousand years ago as a refuge from the Iroquois. Now there are 312 full-time residents and 3,000 seasonal ones (plus over 8,000 visitors on summer weekends). You can drive your car if you brought it over on the car ferry, or you can rent a golf cart or bikes to cruise around the island. Bring a picnic, or dine at one of the island’s many restaurants. There are also other important archaeological and historic sites on the island – and more than a few lovely beaches. Learn more at the Ohio History Connection or by checking out Glacial Systems and Landforms: A Virtual Interactive Experience by Ryan C. Bell or Kelleys Island 1877-1884 The fire, the Great Grooves, & a mysterious disappearance by Leslie Korenko. The temperature here in southern Michigan sits at eight degrees below zero Fahrenheit, which is about negative 22 degrees Celsius, as I write this post, but I can barely begin to imagine what it felt like in 1933 when the Village of Pellston in northwestern Michigan recorded the state's record low temperature of 53 below zero Fahrenheit (-47 degrees Celsius)! 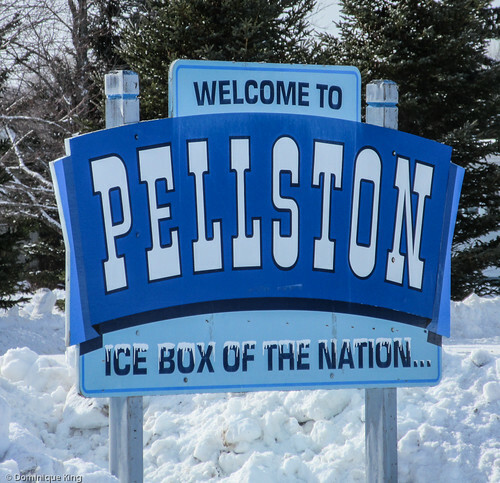 International Falls in Minnesota may lay legal claim to the title of being the nation's "Icebox", but Pellston's recorded low of -53F certainly seems to put it in the running for the dubious honor of being one of the coldest places in the nation! The temperature rose to a relatively balmy 18 degrees Fahrenheit (-8C) on the recent day that we visited Pellston in northwestern Michigan. I braved stepping out into the cold to take these few photos near the city's airport, and as much as I like cold weather, that was more than cold enough for me that day! Pellston is a place I remember hearing about as a kid on the local television newscasts in metro Detroit whenever the village recorded yet another low temperature, so it was fun to catch a wintertime glimpse of it a couple of weeks ago. Pellston records sub-zero temperatures for an average of 40 days each winter, rivaling places like Minnesota's International Falls, Big Piney in Wyoming and Fraser in Colorado for the nation's coldest temperatures. Why is Michigan's Pellston so cold? The village sits in a sand basin between two large, semi-circular ranges of hills near the Maple River. Low-laying cloud cover tends to gather there during the day, causing evaporation as the daytime clouds disperse and reflect much of the heat away from the valley as the air cools each evening. Pellston is about 20 miles south of the Mackinac Bridge that separates Michigan's Upper and Lower Peninsulas (yes, it's in Michigan's Lower Peninsula). The village has a population of less than 1000 hardy souls. 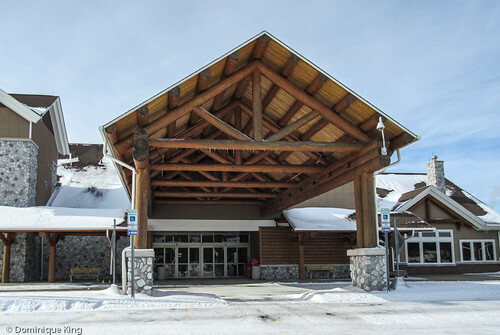 It is also home to a number of great trout streams like the Maple River, an airport with a terminal that more closely resembles a North woods-themed lodge, a number of ski resorts and some of the longest and best snowmobile trails in the state's Lower Peninsula. Lumber barons once ruled that area. Railroad grades left behind from the early 1900s lumber mills provided a base for the area's many snowmobile trails, and the industry's clear-cutting of forests in the area left behind an environment clearly reflecting the impact of extreme de-foresting of the northern woods on the land. In 1909, the University of Michigan established a research and learning center on 10,000 acres of land acquired after lumbering interests left the area. U of M students and faculty originally focused on studying the effects of exploitive logging and subsequent forest fires on the area, but more recent research at the station increasingly focuses on measuring climate change, studying the impact of global warming and increased levels of carbon dioxide on the upper Great Lakes region, working with endangered species in the area and improving computer models to forecast future changes in the climate. 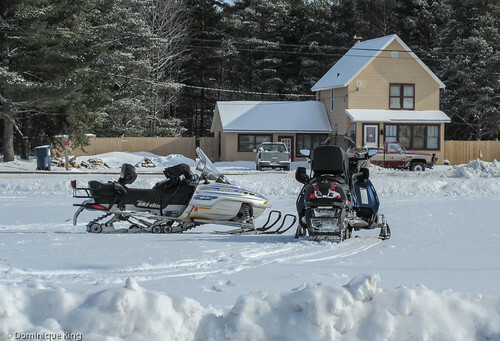 We stopped by Pellston long enough to park in the airport's free parking lot so I could check out village's welcoming sign and admire a couple of snowmobiles parked in front of the airport before popping back into the warmth of the car (where Tim decided to stay while I took my photos!) and heading back south. Want to learn more about U of M's work in Pellston? Check out The Changing Environment of Northern Michigan: A Century of Science and Nature at the University of Michigan Biological Station, a collection of essays edited by Alan J. Hogg Jr., Knute Nadelhoffer and Brian Hazlett. The Michigan Eco-Traveler: A Guide to Sustainable Adventures in the Great Lakes State by Sally Barber also sounds like an interesting read for travelers looking at the environmental impact of tourism and other recreational activities in Michigan. 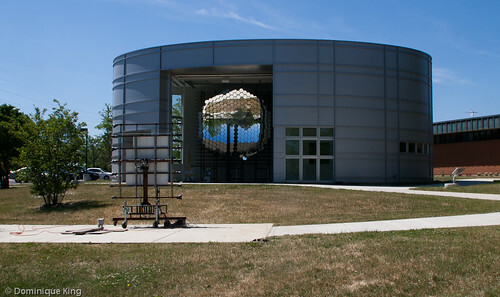 We last visited OSU's Stone Lab on Gibraltar Island on a very, very hot and sunny day last summer. I loved the view of Perry's Victory & International Peace Memorial at Put-in-Bay from Gibraltar Island, much as I enjoyed the view of Gibraltar Island from the top of Perry's Memorial. 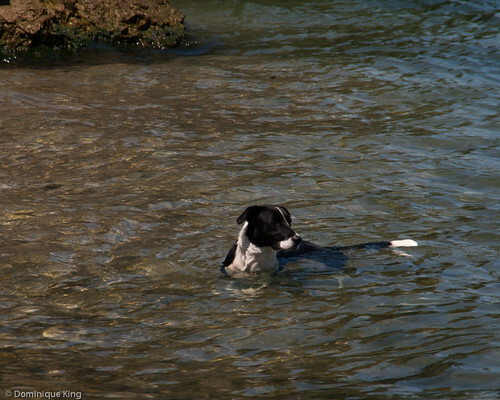 I'm looking forward to visiting the Stone Lab this next week, although I hope I won't have to swim on down there like this pup I caught enjoying a dip off of Gibraltar's shore last year! (Detroit experienced unprecedented flooding on Monday, with many places in the metro area getting nearly 6 inches of rain in the course of an hour or so. Portions main highways south, like I-75 and M-39 that I regularly use when traveling to Ohio, remained closed as of Wednesday afternoon). 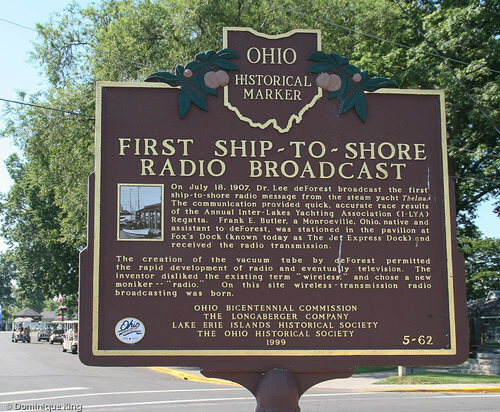 Thanks to the Lake Erie Shores & Islands Visitors Bureau for sponsoring my visit to the Lake Erie Shores and Islands area, providing lodging, meals, and help arranging visits to area attractions for my review, with no further compensation. I was free to express my own opinions about the stay and experiences, and the opinions expressed here are mine. Gibraltar Island is home to Ohio State University's Stone Laboratory, where students, educators and other researchers work to identify and address some of the biggest environmental challenges facing the Great Lakes region, and Lake Erie in particular. Stone Lab is the oldest freshwater biological research field station in the United States, and the best way to see the lab and learn about the work going on there is to take one of the two-hour student-led tours offered each summer. 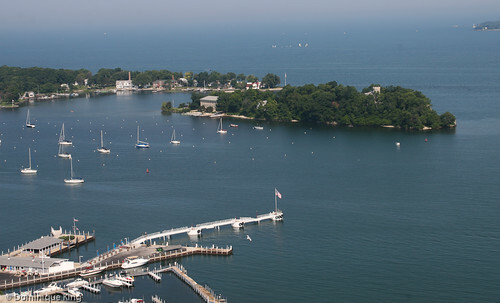 Gibraltar Island, sometimes called the "Gem of Lake Erie", is 6.55 acres and sits just across from Put-in-Bay on neighboring South Bass Island. Gibraltar Island eventually gained its name because it reminded people of the dolomite rock ledges of the European Rock of Gibraltar. Gibraltar Island, part of present-day Put-in-Bay Township, passed through several different owners during its earlier years. The State of Connecticut once owned the island and sold it to New York banker Pierpont Edwards in 1807. 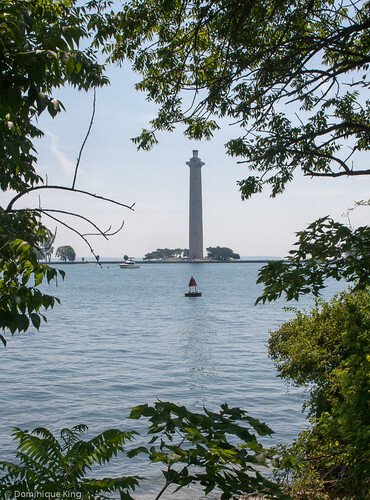 The island served as a likely lookout point for Commodore Oliver Hazard Perry and his soldiers during the climactic Battle of Lake Erie in 1813. Edwards sold the island to Jose DeRivera in 1854, who in turn sold it to Sandusky native and Civil War-era financier Jay Cooke for $3,001 in 1864. Cooke built a 15-room home on Gibraltar Island as a vacation getaway for his family. Cooke died in 1905, but his daughter Laura Barney kept the island until selling it to Julius Stone in 1925. Stone happened to be an Ohio State University trustee and the son of Prussian mathematician and astronomical researcher Franz Theodore Stone. Julius Stone knew about the school's Lake Laboratory, which started operating in 1895 on the second floor of a fish hatchery in Sandusky, Ohio. 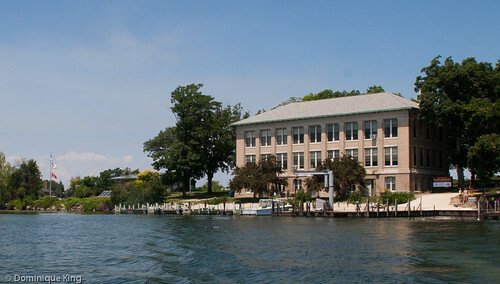 Stone's connection to OSU and his respect for his father's work led him to donate the land at Gibraltar Island to the university as a lab location and ask the school to name the facility for his father. The school completed the lab's main 21-room building in 1928 and began offering classes there in 1929. 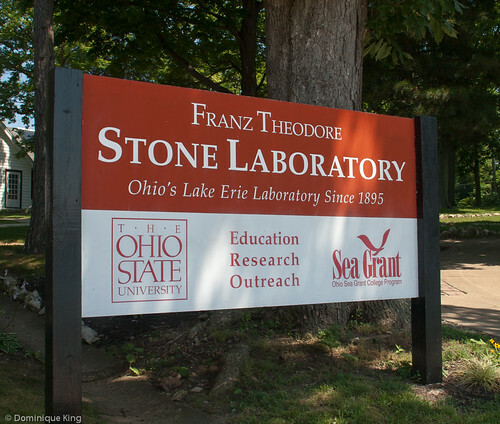 Stone Lab works with the Center for Lake Erie Area Research (CLEAR) and the Ohio Sea Grant Program to operate OSU's Lake Erie program. The lab offers more than two dozen college-credit courses for undergraduate, graduate and advanced high school students each summer. Grade school students also come to the island throughout the year for science workshops. There are even opportunities for non-credit classes and remote learning with lectures, research papers and publications available online. Much of the lab's research focuses on western Lake Erie. The lake's shoreline between Detroit and Cleveland has a high concentration of residents and businesses, making it an ideal place to study the effect of a heavily populated area on the lake. Our tour of Gibraltar Island started at the main Stone Lab building where university students shared some information about ongoing research, classes and scientific projects in subjects like biology, geology, natural resources and conservation issues at the island. We learned a little bit about the Lake Erie water snakes, a subspecies of the northern water snake that developed about 3,000 years ago in the wake of glacial movement in the area that resulted in separating large groups of the northern water snake from the mainland. The water snake population of the islands developed some unique characteristics like a dull grey coloring that more closely matched the grey bedrock terrain than the distinctly banded patterned skin of the mainland water snakes. Today the federal government classifies the Lake Erie water snakes, which have one of the smallest ranges of any snake on earth, as threatened. 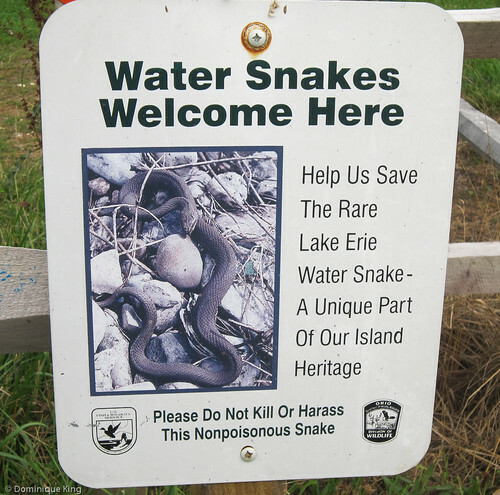 The non-venomous snakes are especially important to Lake Erie because they have a taste for gobies, an invasive species that disturbs the natural food chain for smallmouth bass, wall eye and other bottom-dwelling fish native to the area and popular among fishers and diners. 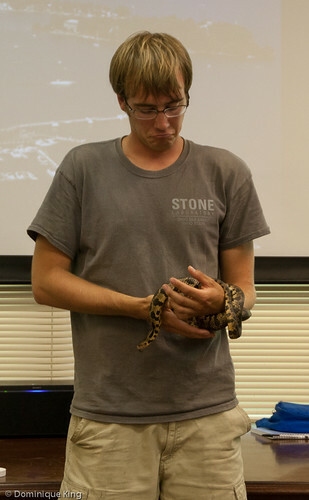 The Ohio Division of Natural Resources Division of Wildlife classifies the snakes as endangered, and there are fines for killing or harming them. Stone Lab is also doing interesting work and research in the area of energy production and conservation. 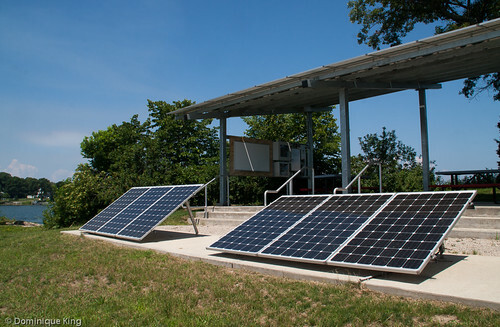 The lab installed a number of solar energy and thermal panels on Gibraltar Island in 2012 and 2013 as part of an effort to decrease the facility's dependence on the conventional electrical grid. One goal of the program is to reduce conventional energy use at the lab by 10-25 percent. The solar energy project also gives students a chance to study and research the process of creating sustainable energy and compare the effectiveness of different energy collection options. 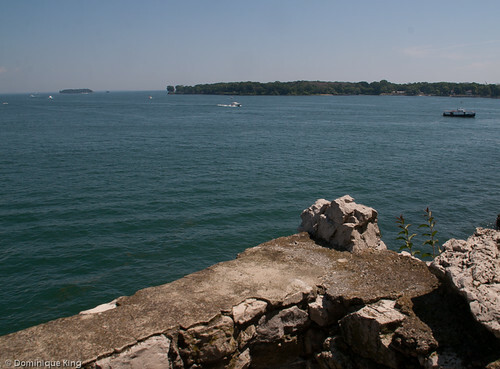 Our tour of Gibraltar Island also included learning about the island's history, visiting Perry's Lookout, looking at the exterior of Cooke's Castle and glimpsing glacial grooves on the island. The tours run from 11 a.m. until 1 p.m. on Wednesdays from mid-June through mid-August. We arrived at the Boardwalk Restaurant Harbor Taxi Landing in Put-in-Bay by 10:45 a.m. to take a water taxi to Gibraltar Island for the tour. Cost is $6 for a round-trip water taxi ticket. 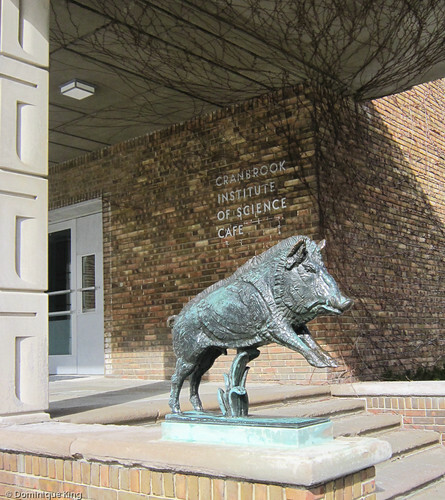 The $10 tour fee ($5 for children 6-12) helps support Stone Lab student scholarships. The summer tours generally draw 5 to 50 people each week (we toured the island with a group of about 40 or 50 folks). There is also an annual open house and tour at Gibraltar Island in early September. You can also connect with Stone Lab on Facebook or Twitter. Want to learn more about Gibraltar and other Lake Erie Islands? Check out Ohio's Lake Erie Island by Chad Waffen or Lake Erie Islands: Sketches and Stories of the First Century After the Battle of Lake Erie by Michael Gora. 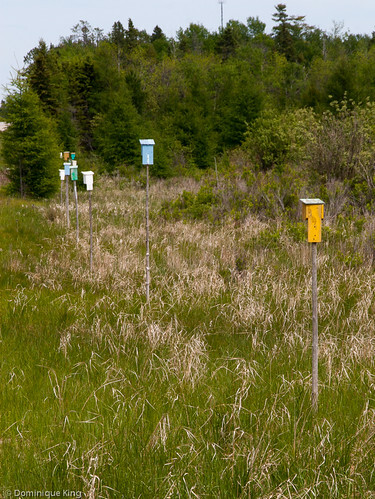 This marsh near Hessel, Michigan may look pretty unassuming, but this plot of unspoiled land plays a really important role in the environment and assuring the biological diversity of this area in the state's Upper Peninsula. 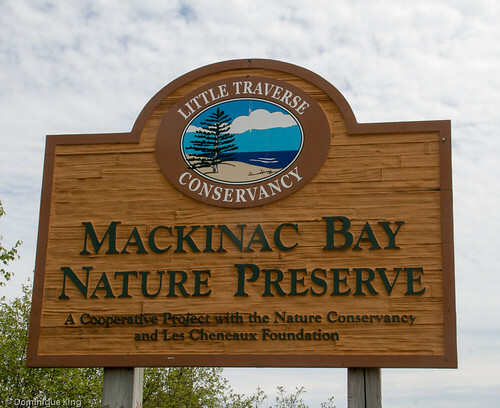 The 22-acre Mackinac Bay Nature Preserve sits right alongside M-134 in the Les Cheneaux region and boasts 1,320 feet of Lake Huron frontage in the far eastern portion of the UP. 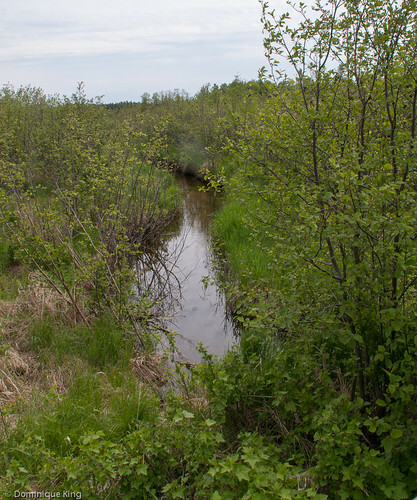 Freshwater marshes like this one are important because they allow for storage and cycling of organic material to support many different animal species, including mammals, birds, herptile, invertebrates and many types of Great Lakes fish. These marshes are also important in helping to sustain many migratory song birds as they pass through the area. This particular preserve helps support at least 30 different species of wading and shorebirds, 27 species of ducks, geese and swans and several species of terns and gulls. It also provides an important hunting area for pairs of bald eagles in the area. The Mackinac Bay Nature Preserve is one of the most biologically productive habitats in the state of Michigan. The Nature Conservancy named the northern shore of Lake Huron as "one of the last great places" in the northern hemisphere and an excellent example of the increasingly rare freshwater marshes along the Great Lakes. The 36-island archipelago of Les Cheneaux Islands dot the 17-miles of particularly pristine shoreline along northern Lake Huron. The preserve, established in 1994 in a partnership between the Les Cheneaux Foundation, The Little Traverse Conservancy and the Michigan chapter of The Nature Conservancy, seeks to encourage continued study and preservation of the natural habitat by protecting this land from the encroachment of development. Much of the aquatic life in the marsh lies hidden below the water or vegetation, but visitors can often spot eagles, osprey and other marsh birds while listening for the croaking of a variety of frog species, especially during the early evening at sunset. A small parking area off of M-134 and a large wooden overlook with benches make the preserve an accessible and comfortable place for visitors to sit and enjoy the serenity as they watch for wildlife. The viewing platform directly overlooks Mackinac Creek and the grassy marshland leading out to Mackinac Bay, Les Cheneaux Islands and the big lake. Interpretive signs explain the importance of this nature preserve. Reach the Mackinac Bay Nature Preserve by heading north on I-75 after crossing the Mackinac Bridge into the Upper Peninsula for 14 miles, then proceeding east on M-134 for another 13 miles.. The preserve is less than a half mile past Hessel on the right-hand side of the road. Interested in learning more about the Great Lakes and their ecology? Check out The Once and Future Great Lakes Country: An Ecological History by John L. Riley or The Great Lakes: the Natural History of a Changing Region by Wayne Grady. 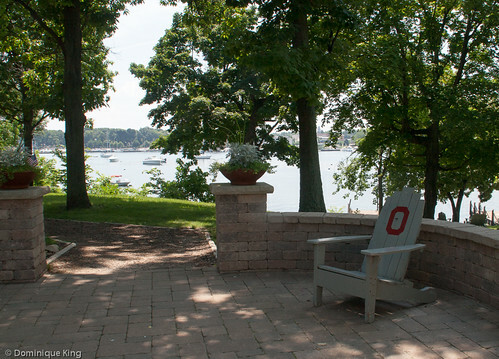 Put-in-Bay draws plenty of summer visitors, but it's still possible to find a few quiet spots on the island to relax and enjoy the island's natural charms and maybe find a little solitude. The end of State Route 357 at the island's most easternmost point t is a popular place to watch sunsets over Lake Erie, but if you want to enjoy the sunset scene a little more quietly, check out the Scheeff East Point Nature Preserve. The 8.8-acre plot of land offers a short hiking trail, a place for shore fishing and access via canoe or kayak. Park at the nature preserve's parking lot just short of end-of-the-road gathering spot and hop out to walk the trail loop that leads through meadows, tall grasses and a few trees out to a small patch of rocky beach on the lake. The preserve is a good habitat for the Lake Erie Water Snake, migratory birds, waterfowl and shoreline plants. 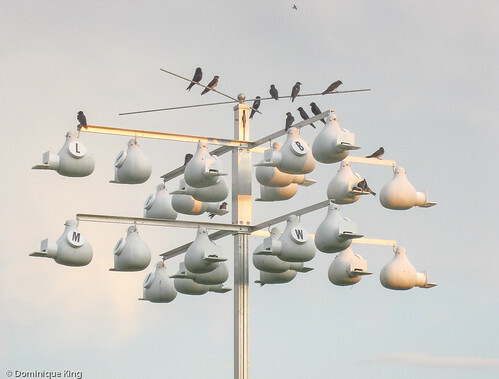 Plenty of Purple Martins and tree swallows populate the preserve. Birdwatchers also report seeing Ruddy Tumstones, Sanderlings and, very occasionally, a rare Purple Sandpiper at the preserve. The preserve with its 1,700 feet of rocky Lake Erie shoreline is also a preferred spot for the Lake Erie Water Snake, a non-venomous and endangered snake unique to the Lake Erie Islands. I went for a walk at the preserve near sunset on a warm summer day, and while I didn't see a lot of birds or snakes (thank goodness! 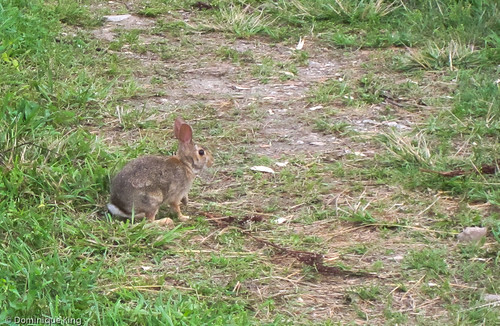 ), I did see plenty of bunnies hopping down the trail as I wandered to down to check out the beach. The preserve originally belonged to Conrad and Katherine Bruchner, grape growers who came to the island from Germany in 1857. The couple established a vineyard, and a fifth generation of the family still lives on South Bass Island. Developers once had their eye on this land with the idea of building nine homes here. Residents and friends of the island rallied to raise the $2.6 million needed to purchase the land as a preserve. Rose Scheeff, who spent nearly fifty happy summers on the island with her husband Bill, made a major contribution that helped allow the Western Reserve Conservancy purchase the park with the help of the Lake Erie Chapter of the Black Swamp Conservancy. The Put-in-Bay Township Park District now owns the land. 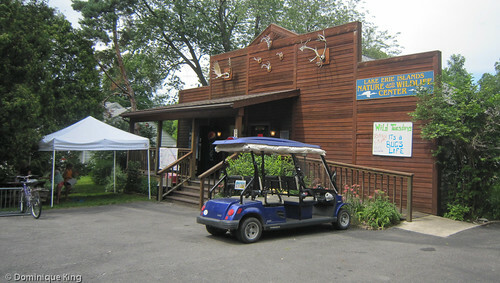 The Lake Erie Chapter of the Black Swamp Conservancy was also instrumental in purchasing a plot of woodland and the building that is now the Lake Erie Islands and Wildlife Center. Stan Wulkowicz grew up at Put-in-Bay, but he and his wife Joanna moved to Anchorage, Alaska where they both taught science classes at school for many years. 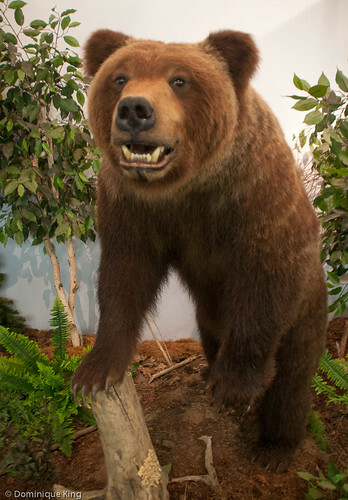 Stan became fascinated with taxidermy, and when the couple retired to live in Put-in-Bay, they brought Stan's collection of stuffed animals with them and opened the Alaskan Birdhouse Museum in 1993. 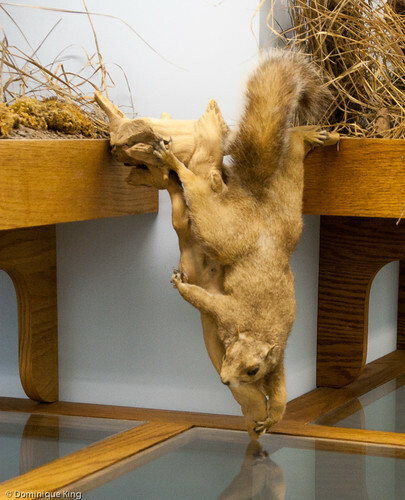 The couple closed the museum in 2003, but offered to donate the collection and the building to the Lake Erie Island Chapter of the Black Swamp Conservancy if the group agreed to purchase the 1.8-acre plot of land the building sat on. The community rallied to help make the sale happen, and re-open the museum in 2008. 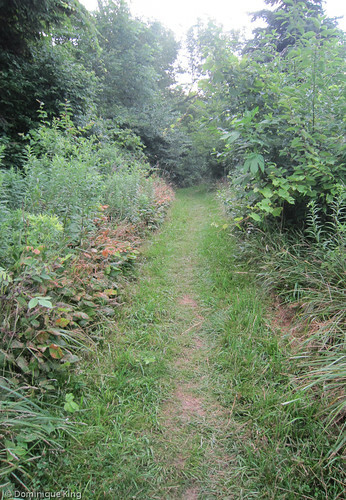 The site also has 1.2 acres of woods, a short tail, two caves and a frog pond. 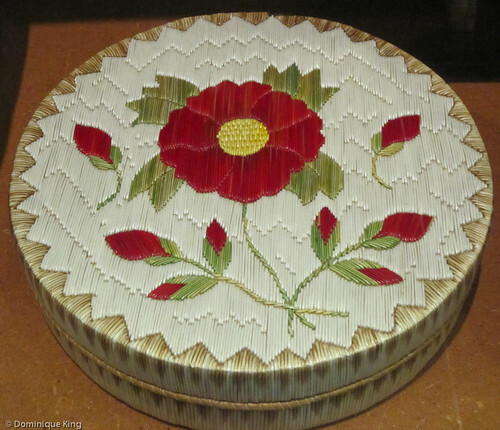 The center opens daily from 11 a.m. until 6 p.m. from Memorial Day through Labor Day. 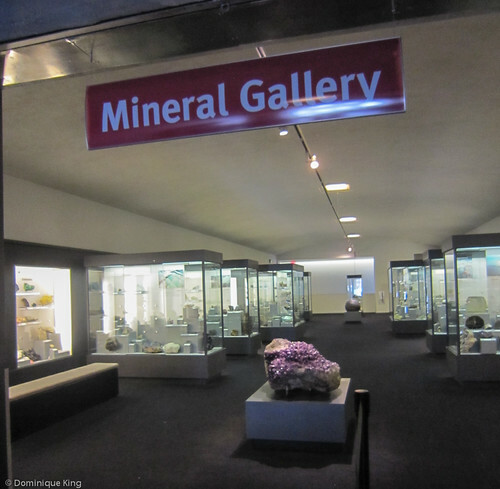 It opens 11 a.m. until 5 p.m. on Saturdays and Sundays in May and September. Cost is $3 per adult, $2 for children and seniors, free for children age 5 an under or $8 per family. Check out the Lake Erie Islands Nature and Wildlife Center's page on Facebook for the latest event listings and links to other nature-related news. Out in the field? Check out these handy little wildlife guides for Ohio Wildlife, Ohio Birds and Ohio Trees & Wildflowers by James Kavanagh and Raymond Leung. Marilynne Eichinger wondered why science classes in school weren't much fun. She knew there must be better ways to engage and interest young children in learning about the world around them and set out to do something about it. Eichinger gathered a few friends to construct some fun experiments and exhibits, which they packed up in their station wagons and began ferrying around town, doing science shows and demonstrations in area schools. Eichinger and her crew established the Impression 5 Science Center in 1972, which continues to enthrall, engage each of the five senses and educate 100,000 visitors each year and introduce scientific fun to another 25,000 participants throughout the year in community outreach events. 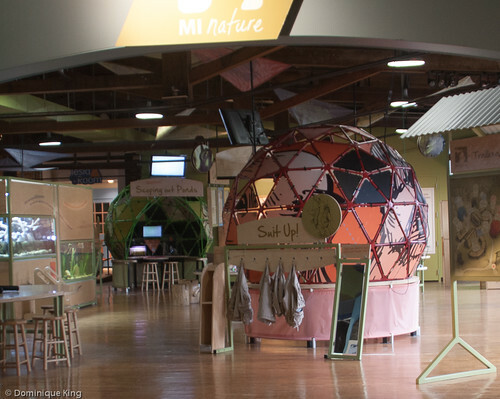 The hands-on science center, located in a former lumber factory in downtown Lansing's museum district and a short distance from Michigan's State Capitol, offers an unstructured and open environment that encourages families to explore, play, create and learn about science together. The 25,000-square-foot building's main floor offers plenty of wide open spaces for kids to freely roam and try out more than 150 different activities among the dozen or so learner-directed exhibits. The center also has plenty of space to host groups or special events like class field trips, homeschooling events or birthday parties. What is your child's interest? 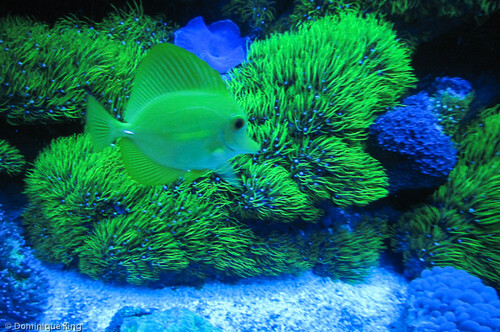 Chances are you'll find some great activities to encourage their interest in scientific subjects. 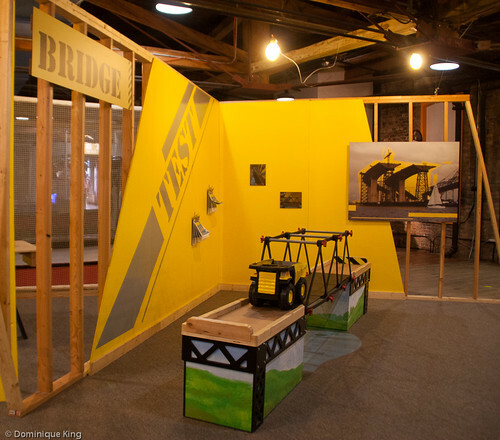 The museum's staff builds most of the exhibits on-site in the museum's lower level. 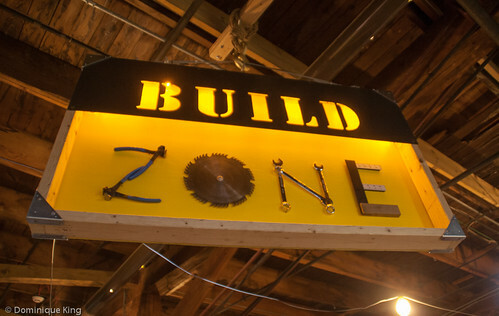 Check out the Build Zone, where aspiring architects and engineers can suit up in hard hats and construction vests to create buildings, bridges and other structures from blocks and other building materials. Little naturalists will love donning the appropriate explorers' gear and exploring Michigan's natural environments. I got a kick out of walking into a 7-foot model of a giant eyeball and a big mouth model to learn about the human body from the inside. Other exhibits currently at the museum cover subjects like electricity, magnetism, light and color, music, simple machinery, and Pop!, an exhibit where I found myself inside of a giant soap bubble! The youngest explorers have a place of their own at the museum called the First Impression Room, where children from birth to 5 years old can enjoy special exhibits and play areas. The area also features amenities like a family restroom, private nursing area, and spaces for kids to store their belongings or share a snack with their families. Hours for the Impression 5 Science Center are 10 a.m. until 5 p.m. Tuesday through Saturday and noon until 5 p.m. on Sunday. Adults and children 1 year and older pay $5 for a day of unlimited play and creativity. Admission is $4.50 for seniors and free for children under younger than one. Family memberships are $75 and offer admission for two adults and all of their children or grandchildren under the age of 18 for the entire year. 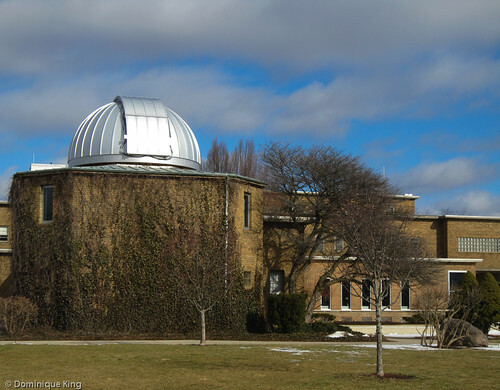 Be sure to also check out my story, Science for girls...and everyone else...at Michigan's Cranbrook Institute of Science, to learn about another great Michigan science center. Patterns always hold a special fascination for me, and I love this series of photos I recently took at Indiana's Valparaiso University. 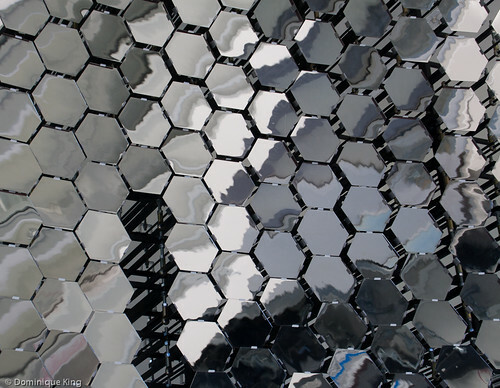 I zoomed in on the repeating hexagonal mirrors, and then zoomed back out at several different lens focal lengths for a look at the bigger picture of the concave arrangement of 306 curved mirrors that make up the concentrator of the solar furnace on campus. We'd seen a student adjusting what we first thought might be a telescope or survey instrument and walked over to investigate. We found two students working on the solar furnace and got a quick primer from them on how it worked, and how it was part of the school's research into developing solar energy as a viable renewable alternate energy source. 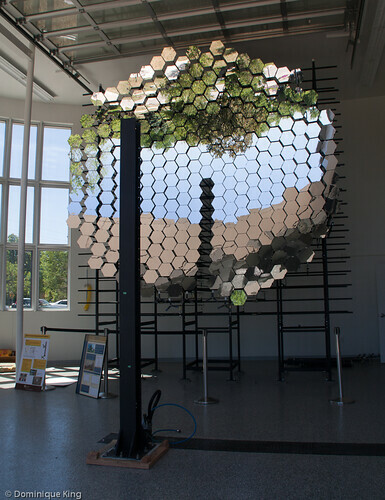 It turns out that the student we first saw was adjusting a flat mirror called a heliostat that sits in front of the furnace to track the sun and direct the sunlight into the concentrator. 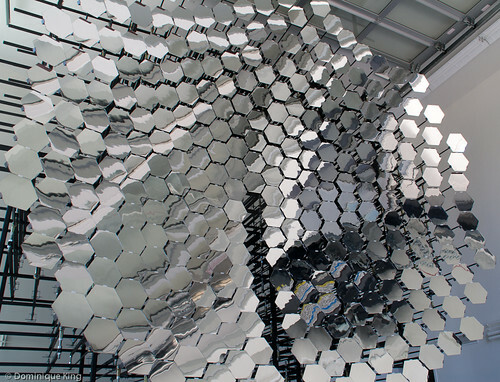 The furnace can produce over 3,000-degree Fahrenheit temperatures within a solar thermal reactor that helps produce chemical reactions and further the students' research and work to produce solar fuels. 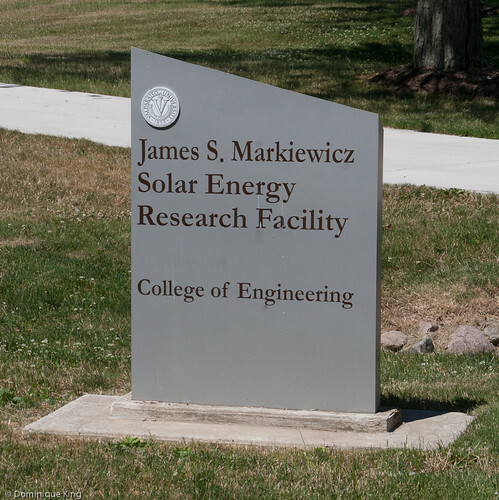 The students proudly told us that Valparaiso University is just one of four research facilities in the United States to have a solar furnace, and I also found out that the school is the only undergraduate university in the country to have one. 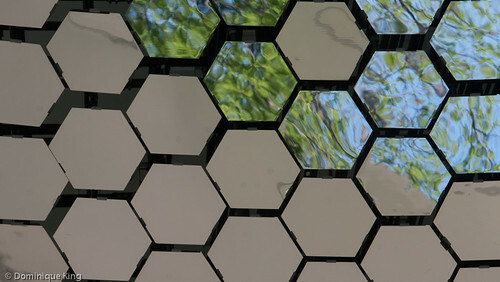 Engineering students and faculty designed and began building the solar furnace and its 2,000-square-foot in 2000, aiming for it to be fully operational this fall. Check out my story from earlier this week, Visiting Indiana's Valparaiso University, for more about the school and to learn how an earlier group of Valpo Engineering students built another facility on campus that helped restore the department to a four-year degree granting program after the Depression in the 1930s.